Manage your finances and create fully customized checks with the included VersaCheck Gold software. 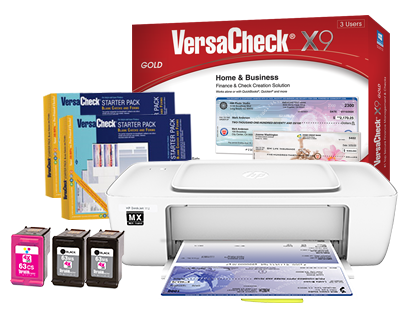 Immediately begin printing bank compliant checks with the included VersaCheck® Paper Pack and our VersaCheck® Gold check printing software. For an even more full-featured experience please consider the HP 1112MX Platinum bundle.